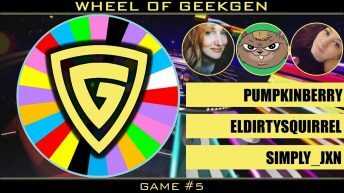 Contestants Pumpkinberry, Eldirtysquirrel, and simply_jxn compete for victory on Wheel of GeekGen. 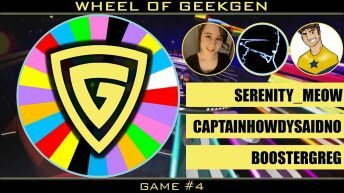 Contestants Serenity_Meow, CaptainHowdySaidNo, and BoosterGreg compete for victory on Wheel of GeekGen. 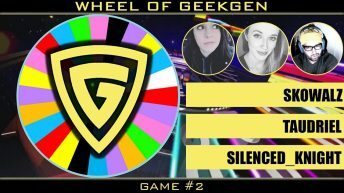 Contestants Skowalz, Taudriel, and Silenced_Knight compete for victory on Wheel of GeekGen.